Michael Lavaee helped me win my case against my former landlord. A case that several other attorneys tried to dissuade me from pursuing! I could not be more appreciative of Michael’s incredible professionalism, prompt communication, care and knowledge of the law. My experience with Michael as my attorney was easy and efficient and he instilled confidence in me from day one. A good, compassionate and smart lawyer is hard to find! 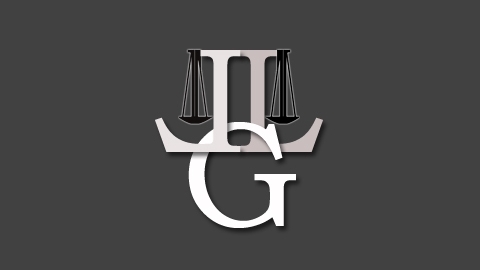 I highly recommend Lavaee Law Group legal for too many reasons to list in writing. If I told you how we meet you would think I was crazy. It was through Michael’s brother on Craigslist Mar. of 2010. I was looking for a lawyer to do a Partition to Separate of 4 properties from a family member who was very uncooperative and Michael’s brother saw my ad and told Michael to contact me. We immediately hit it off. Michael had only been practicing law a couple of years. I met him at his office signed, an agreement and gave him $3000 deposit That was the beginning of , I must say, a great experience. This man is one smart SOB….We went through 4 days binding arbitration, witnesses, hand writing experts, a Superior court hearing, chapter 7 and 11 bankruptcy, bankruptcy court, appeals court and 5 defendent attorneys— all brought on by the defendent.This went on for almost four years. In the end Michael won everything including the kitchen sink, things I wasn’t even looking to win. In trial he amazed me (my very own Johnnie Cochran) All in all I came out with well over six figures plus, several thousand in fraud and punitive damage awards, All along Michael kept in touch with me almost on a daily basis either emailing, texting, or calling. He even would come to my house or we would meet for lunch…if he would receive papers from the courts or the defendents attorney or anyone connected with the case I would get a copy right away and a follow up call: this is the way Michael conducts business, I’m not his only client but he treated me like I was…As far as payment was concerned, he would send me a monthly bill and I paid what I could. If I was a little short he would never hassle me. We trust each other. I am very lucky to have met him as he is a rare find. I have used several attorneys over the past 30+ years, but Michael was an amazing rare find. The case he handled for me took over 4 years with a long trial during that period. What I was most impress with was his constant communication with me from day one. He was in constant contact with me every step of the way even on court appearances I was not even required to attend; to watch him work in trial was a shear joy. There are just no words to describe his ability other than amazing. It been 3 years since the case was settled and to this day I still hear from Michael every few month. If your in need of a smart young lawyer with a positive attitude Michael is your man.